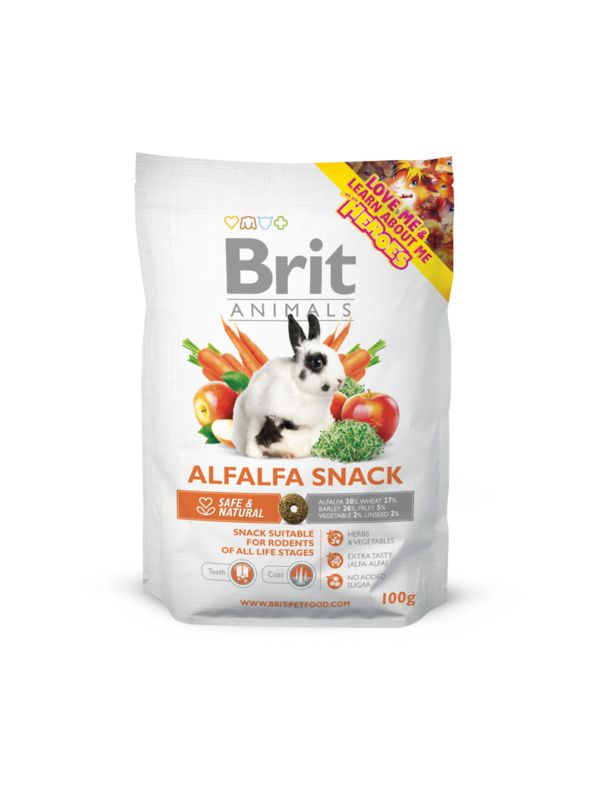 Tasty and healthy snack for rodents and rabbits. Low calorie content - do not overstress the organism and do not increase the daily calorie intake. alfalfa, wheat, barley, oat, dried apples, carrot, linseed. crude protein 14,0 %, crude fat 3,3 %, crude fiber 12,0 %, crude ash 5,4 %, moisture 10,0 %, calcium 0,6 %, phosphorus 0,3 %, sodium 0,06 %.